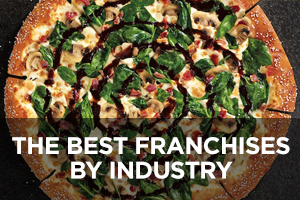 To learn more about the benefits of subscribing to Franchise Chatter, please click here. Ready to sign up? Please click here. Perhaps you’ve been dreaming of owning your own business for a while, and you’ve decided the right way to do this is to open a franchise. 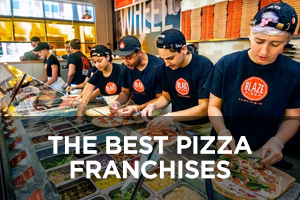 After all, when you run a franchise location, you don’t have to start from scratch – you get the proven business model, operational systems, and marketing clout of a regional, national, or international organization while still being your own boss. It’s a win-win combination that has worked for hundreds of thousands of people, and now you’re ready to put it to work for you. 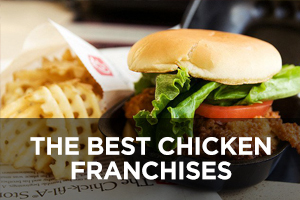 It’s important to understand from the outset that not all franchises are created equal. Yes, many make it onto Entrepreneur’s prestigious Franchise 500 list, but thousands more don’t and never will make it onto any list. Just because a franchise exists doesn’t mean it’s successful. Failure rates among franchises can be just as high as failure rates among independent businesses. As long as you don’t set yourself up for disappointment by buying into a false sense of security, purchasing a franchise can be a great way to finally have your own business. 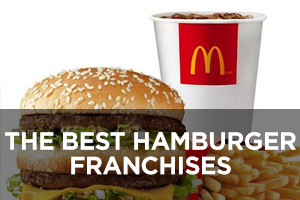 But then comes the tricky part – how in the world do you decide which franchise is the best choice for you? Intelligent decision-making requires information. You must conduct due diligence in collecting and analyzing the best, most relevant, unbiased information to make an informed decision. Did you notice the word unbiased there? What you don’t want to do is make a decision based solely on what you hear in a sales pitch from the company that desperately wants you to buy into its franchise. That sales pitch does not qualify as unbiased information. Fortunately, every franchising company must prepare a Franchise Disclosure Document (FDD) each year. And buried within some of those intimidating documents are real numbers and metrics that can be used to aid your decision-making process. The first challenge is tracking down all the different FDDs across different industries that might interest you and determining which ones actually provide financial performance data in Item 19, the section of the FDD where you can often (though not always) find sales, expense, and/or earnings data. The second challenge is converting the raw information within each document into actionable intelligence that helps you make a better, more informed decision. The third challenge is comparing multiple franchise opportunities within a given industry in such a way that consistent measures are used for a true apples-to-apples comparison. This is where Franchise Chatter can be an indispensable aid and help you make a more informed decision. We’ve analyzed thousands of FDDs over the past five years, and we’ve figured out how to present the information so anyone can understand it, even if you have little or no experience in reading financial statements. Moreover, we’ll call out anything that seems unusual or doesn’t add up to make sure you are not misled by dubious information. And we do all the calculations so you don’t have to. We go the extra mile, which is why a wide variety of business people have come to rely on Franchise Chatter as their go-to source of FDD information and analysis, including private equity investors, lawyers, franchise brokers, MBAs, and franchisors, as well as thousands of mom-and-pop investors. 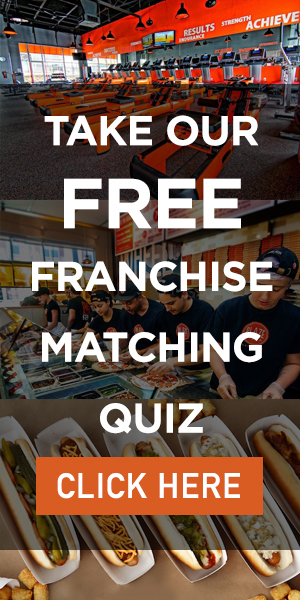 Below is a small sampling of the kind of information you’ll be able to access as a Franchise Chatter subscriber in order to facilitate your franchise investment decision-making process. 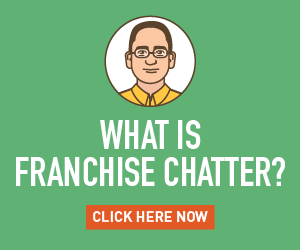 Want to Learn More About the Benefits of Subscribing to Franchise Chatter? Please Click Here. Ready to Sign Up? Please Click Here. 43.78% of the 432 Mac Tools franchisees that were in operation during all of fiscal year 2015 purchased at least $250,000 worth of products for resale to their own customers? the 2015 average gross sales for the 38 multi-unit AlphaGraphics business centers in the U.S. that have been in operation for 1 year or more as of December 31, 2015 was $2,557,872? the 2015 average cost of sales for the 26 parent-owned Uno Pizzeria & Grill restaurants in the sample was 25.74% of net sales? the 2015 average sales per guest for the 116 franchised The Melting Pot restaurants in the sample, was $41.62 (vs. $40.88 for company-owned restaurants)? the 2015 average net sales for the 172 company-owned Checkers restaurants that were open and operating during the entire 52-week period ending December 28, 2015 ($1,010,712) was 2.6% higher than the corresponding average for the 291 franchised Checkers restaurants that were open and operating during the same 52-week period ($985,548)? the 2015 weighted average operating expenses for the 59 franchisee-owned Woodcraft retail stores in the sample, was 32.46% of total revenue? the average iLoveKickboxing outlet reported a break-even point at $26,301 of monthly gross revenues? 89.02% of the 2015 average total revenue for the 2 affiliate-owned Representative Club Pilates Studios came from traditional revenue (i.e. revenue generated from the sale of memberships, class-based packages, and all other approved products and services that the studio is authorized to offer and sell, other than revenue generated by that studio’s Teacher Training Program), while 10.98% of their 2015 average total revenue came from teacher training revenue (i.e. revenue generated by that studio in connection with the sale and provision of Club Pilates’s proprietary Pilates instructor training program to its third-party clientele)? 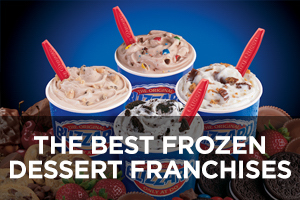 the average gross sales for the franchised Andy’s Frozen Custard Covered Stores in the respective year’s sample increased by 10.1% year-over-year (2015 vs. 2014)? the 2015 weighted average rent for the 42 franchised Saladworks restaurants that provided cost information to the franchisor for the full 12-month period, was 12.2% of net sales? based on the yearly average for the first five years of operation, the biggest operating expense in running a First Choice Business Brokers office is rent (8.19% of total income)? the 2015 average transaction value for the 92 franchised Kilwins stores that were in operation during the year January 1, 2015 to December 31, 2015 that reported complete transaction values to the franchisor, was $11.13 (up from $10.83 in 2014 and $10.53 in 2013)? the 2015 average payroll costs and 2015 average occupancy costs for the 91 company-owned Gold’s Gym units that had operated for at least two full years as of December 31, 2015, were nearly identical? the 2015 average total labor for the company-operated MOD Pizza restaurants in the sample was 29.0% of net sales (vs. 28.8% of net sales in 2014)? the average number of subject-students per month for the 230 Eye Level Learning Centers operating during the 2015 calendar year was 72? the affiliate-owned Junk King business in San Mateo county, California has grown every year since it commenced operations on February 15, 2005. On its first year, it generated total gross sales of $210,370 from a single truck? Great Steak charges its franchisees a Royalty Fee of 6% of weekly gross sales or $400 per week, whichever is higher; and an Advertising Fee of 1% of weekly gross sales? the 2015 average paper costs for the 214 franchised Hungry Howie’s restaurants that submitted income statements to the franchisor, was 3.45% of gross sales? the average number of members for the middle 60% of Snap Fitness clubs that operated for a full 24 months as of December 31, 2015, is 557 members? the total estimated initial investment necessary to begin operation of a Bonchon restaurant ranges from $329,600 to $734,278? the average fifth year revenue for the 4 company-operated UBREAKIFIX businesses that have been operating for five full years as of December 31, 2015 was 125.2% higher than the average first year revenue for the 14 company-operated UBREAKIFIX businesses that have been operating for one full year as of December 31, 2015? the 2015 average operating expense (consisting of comps, promos, cleaning supplies, linen, uniforms, equipment (purchases and rentals), repairs and maintenance, pest control, marketing and advertising, delivery expense, music, technology, telephone, permits, license, security, office supplies, postage, bank charges, credit card fees, and professional services) for the 11 affiliate-owned Capriotti’s restaurants that operated for a full year in 2015, was 10.58% of sales? using the midpoint of the initial investment range ($1,459,675) and the 2015 average net sales for all 56 newly-constructed franchised DQ Grill & Chill freestanding restaurants that were developed and first opened for business between January 1, 2013 and December 31, 2014 and were operated for the full year 2015 ($1,336,823), we arrive at an average sales-to-investment ratio of 0.9:1? the average gross retail sales for the GNC stores in the sample declined by 1.3% year-over-year (2015 vs. 2014)? the average job size for Wow 1 Day Painting franchisees operating in the United States for 12 months or greater, increased by 18.5% year-over-year (2015 vs. 2014)? the 2015 average general manager’s annual compensation for the 2 affiliate-owned Zoup! restaurants in the sample was $43,000 (up 17.8% from $36,500 in 2014)? Potbelly Sandwich Shop charges its franchisees a Royalty Fee of 6% or 7% of gross sales, depending on total fiscal year gross sales (6% of gross sales to the extent the shop’s gross sales during a fiscal year do not exceed $1 million; 7% of gross sales on that portion of the shop’s gross sales during the same fiscal year that exceeds $1 million)? the 2015 average occupancy cost percentage (consisting of rent and other occupancy costs) for the 17 affiliate-owned Toppers Pizza restaurants that were open for a minimum of two full fiscal years, was 6.5% of gross sales? 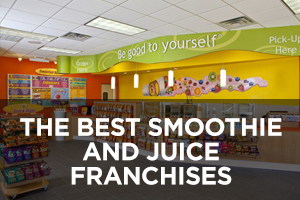 the average annual gross sales percentage increase for all franchised traditional Smoothie King locations that were in operation for the entire 24-month period ended December 31, 2015 was 3.9% higher than the corresponding percentage increase in 2014? the 2015 average occupancy cost per square foot (per year) for the 18 BGR The Burger Joint restaurants (9 franchised and 9 affiliate-owned) that were open and operating for at least 6 months during the 2015 calendar year, was $52.15? 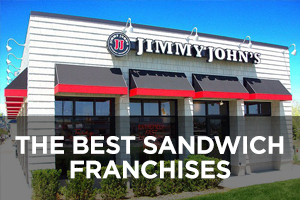 based on the expense data from experienced franchisees (i.e. those that were in operation as of December 31, 2015 and, at that time, had been in operation for at least five years), by far the largest operating expense in running a Two Men and a Truck business is direct labor, followed by general administrative/support staff expenses? the 2015 average gross sales for the 95 company-owned Corner Bakery Cafes that have been operated continuously throughout the company’s 2015 fiscal year was 22.2% higher than the corresponding average for the 58 franchised cafes that have been operated continuously throughout the company’s 2015 fiscal year? the total estimated initial investment necessary to begin operation of an Erbert & Gerbert’s Sandwich Shop ranges from $197,500 to $391,700, with much of the gap due to differences in the costs of Leasehold Improvements ($50,000 to $145,000); Furniture, Fixtures, and Equipment ($40,000 to $85,000); and Additional Funds for 3 Months ($15,000 to $30,000)? the peak months in 2015 for the franchised sweetFrog shops in the sample were from May to August, while the slowest months were from November to February? the average registration revenue growth for the 99 full-time i9 Sports franchises that were open and operating for the entire 2014 calendar year and 2015 calendar year, was 13.95%? Your Pie charges its franchisees a Royalty Fee of 5% of gross sales and an Advertising and Development Fund contribution of 1% of gross sales? the average size of Orange Leaf Frozen Yogurt outlets in the 2015 sample was 1,475 square feet? for the year 2014 (i.e. the most recent year for which data is presented), the average weekly unit sales for traditional Domino’s Pizza stores was $15,937? the average annual gross sales for the top 10% of franchised traditional MOOYAH Restaurants that operated for the full 52-week period from March 5, 2015 through March 6, 2016 was 88.8% higher than the corresponding average for all 53 franchised traditional MOOYAH Restaurants that operated for the full 52-week period? the average job order for You Move Me franchisees operating in the United States for 12 months or greater, increased by 7.8% year-over-year? the average unit volume for the traditional Taco Bell-operated restaurants that were open for at least one year as of the end of the company’s fiscal year, increased by 4.0% year-over-year? 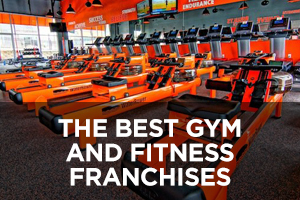 by far the biggest operating expense in running a Blink Fitness gym is rent and occupancy (33.2% of gross sales)? the 2015 average food cost for the 65 Pita Pit franchised restaurants in the sample was 34.2% of net sales? the 2015 average net on-premises revenue for all 17 Krispy Kreme Factory Stores with less than 3,000 square footage and containing a smaller line of production equipment that were in operation for the entire 18-month period ended January 31, 2016, consisting of 2 franchised Stores and 15 company-owned Stores, was $1,525,271? of the 174 9Round centers that were open and operating for at least the full 12-month period ending December 31, 2015, 29 centers (16.6% of the 174 centers in the sample) had over 300 members as of December 31, 2015, with an average of 383 members each? the 2015 average gross profit percentage for the Elements Massage studios in the sample was 63.2% of gross revenue, up slightly from 62.8% in 2014? The gross profit percentage was calculated by first subtracting the annual cost of wages paid to therapists from annual revenues reported and then dividing the result by total annual revenues. No other costs or expenses are considered in the calculation of gross profit. aside from cost of goods sold, the other major operating expense in running a Complete Nutrition store is payroll (17.9% of net sales)? All other operating expenses are relatively minor in comparison. in 2015, 47.3% of Great Clips salons in the sample had total sales of at least $350,000; 18.2% had total sales of at least $450,000? the 2015 average net sales for the 21 Great American Cookies-Marble Slab Creamery co-brand stores that were open for all of 2015 was 52.8% higher than the corresponding average for the 188 traditional Marble Slab Creamery stores that were open for all of 2015 and were not co-branded? on average, beverage sales accounted for a 73.2% of total sales at company-owned World of Beer taverns in 2015? Food sales accounted for just 25.9% of total sales. Loyalty, merchandise, and other sales brought in just 0.9% of total sales. the total marketing obligation of a ZIPS Dry Cleaners franchisee is up to 5% of gross sales, divided among the Marketing Fund (currently 1% of gross sales), any Regional Marketing Fund (currently 3% of gross sales) (or, any Regional Co-op), and Local Store Marketing (currently 1% of gross sales)? the 2015 average annual net sales for the 19 company-owned Wingstop restaurants in operation in the United States during the entire 2015 fiscal year was 48.3% higher than the corresponding average for the 644 franchised Wingstop restaurants in operation in the United States during the entire 2015 fiscal year? the 1,286 Chick-fil-A restaurants in non-mall locations were divided pretty evenly between those that generated 2015 sales of less than $4,000,000 (33%); between $4,000,000 and $4,800,000 (32%); and over $4,800,000 (35%)? for the 52 franchisee-owned Pinot’s Palette studios open the entire year of 2015, the highest 2015 average gross sales was achieved by stores in the Northeast ($538,354), followed closely by stores in the West ($521,473)? in 2015, the average same-store sales for all Sport Clips stores open for at least 13 months as of the end of the year, grew by a healthy 8.3% year-over-year? the total estimated initial investment necessary to begin operation of an IHOP restaurant (under the single store development program) ranges from $1,063,500 to $5,226,550, with much of the gap due to significant differences in the costs of Real Estate ($300,000 to $2,000,000), Construction ($450,000 to $2,300,000), Major Equipment and Fixtures ($150,000 to $400,000), Signage ($10,000 to $100,000), and Additional Funds for 3 Months ($16,500 to $85,250)? the 2015 average EBITDA before royalties, advertising, occupancy cost, and management fees for the middle third of company-owned Denny’s restaurants in the sample was 27% of net sales? Applebee’s average weekly sales for franchised restaurants increased by 0.8% year-over-year (2015 vs. 2014)? the average gross sales prior to opening for the 199 Painting with a Twist franchisees who opened after January 1, 2010 and reported gross sales earned prior to opening, was $4,434, of which 63.2% came from public events and 35.6% came from private events? approximately 28% of all Cinnabon bakeries (full and express) operating at a given point in time are located in enclosed malls? the typical Freddy’s Frozen Custard & Steakburgers restaurant has approximately 3,500 square feet of space? The franchisor estimates that your annual rent will range from $68,000 to $189,000. the average net revenues for Nothing Bundt Cakes bakeries that opened in 2013 was $660,081 during their first 12 months of operations and $808,603 during their second 12 months of operations, for an average growth rate of 22.5% between their first and second 12-month periods? the 2015 gross sales of the sole corporate Blaze Pizza restaurant that had been in operation for at least 2 calendar years ending December 31, 2015 was $2,567,243? 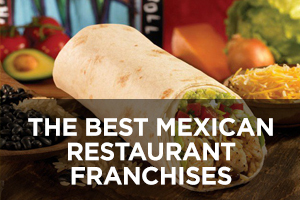 the 2015 average gross sales for the top 25% of the franchised Chronic Tacos restaurants in the sample was 51.8% higher than the corresponding average for all 18 franchised Chronic Tacos restaurants in the sample? by far the largest operating expense for a Drybar shop is hourly labor (43.4% of gross revenue), consisting of hourly wages for stylists, bartenders, and support staff; sales commissions; bonuses; overtime; call center costs; and payroll taxes? 88.3% of the 1,044 franchised Edible Arrangements businesses in the sample were open and operating for more than 3 years as of December 31, 2015, with their average number of months in operation being 95.5 (or 8.0 years)? 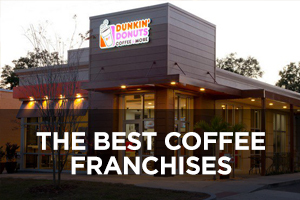 The 2015 average gross sales for this group of franchises was $497,216. the actual high gross sales for Pandora stores in the sample increased by 62.4% year-over-year (from $6,653,492 in 2014 to $10,808,098 in 2015), while the actual low gross sales for Pandora stores in the sample declined by 12.7% year-over-year (from $631,134 in 2014 to $551,117 in 2015)? the lowest 2015 unit volume for the 265 Pure Barre studios that have been in operation for 12 months or more as of December 31, 2015 was $104,796, while the highest 2015 unit volume for the same group was $1,161,200, with 193 studios (73%) falling between $200,000 and $550,000? during 2015, the highest volume company-owned Hot Dog on a Stick store generated gross sales of $872,980, while the lowest volume company-owned Hot Dog on a Stick store generated gross sales of $169,209? the 2015 average cost of labor for the 5 franchisee-owned Bottle & Bottega studios that were open and operating during all of 2015 and reported accurate data to the franchisor, was 15.4% of sales, while their 2015 average cost of event supplies was 11.3% of sales, for an average overall cost of goods sold of 26.7% of sales? the 2015 average net sales for non-traditional Jamba Juice stores on the East Coast ($510,259) was 7.3% higher than the corresponding average for non-traditional stores on the West Coast ($475,637)? In 2015, there were 58.8% more West Coast non-traditional stores (108) than East Coast non-traditional stores (68). of the affiliate-operated Panda Express restaurants in captive venue locations, those in airports had the highest 2015 average net sales ($2,383,738), followed by those in theme parks ($1,282,046), universities ($1,152,639), and casinos ($1,150,056). the total estimated initial investment necessary to begin operation of a Retro Fitness outlet ranges from $941,350 to $1,622,250 (assuming the equipment is financed with a 20% down payment that is included in the estimate), with much of the gap due to significant differences in the costs of Leasehold Improvements/Fit Out ($660,000 to $900,000), Additional Funds for 3 Months ($75,000 to $300,000), and Equipment and Furnishings ($85,000 to $125,000)? of the top 10 Wetzel’s Pretzels bakeries in the 2015 sample, 6 bakeries had a secondary non-baking Remote Mobile Unit included in the sales, while 5 bakeries were in non-traditional locations (i.e. not in a traditional shopping mall)? the 2015 average gross sales for the Hand and Stone Massage and Facial Spa franchised businesses that were open 24 months or more as of December 31, 2015 was 78.6% higher than the corresponding average for the Hand and Stone Massage and Facial Spa franchised businesses that were open between 12 months and 24 months as of December 31, 2015? PizzaRev estimates rent (included under total non-controllable expenses) to range from $4,000 to $12,000 per month (or $48,000 to $144,000 per year)? the average number of members for Anytime Fitness clubs that were open for at least 12 months as of the end of the company’s fiscal year, was essentially flat year-over-year (from 852 members in 2014 to 853 members in 2015)? the cost to make down payments on financed required fitness equipment for a new Planet Fitness location generally ranges from $35,990 to $251,820 (versus $359,900 to $839,400 for an outright purchase)? In addition, the cost to make down payments on non-fitness equipment generally ranges from $10,100 to $85,500 (versus $101,000 to $285,000 for an outright purchase). the 2015 average gross receipts for the Mid-Upper 25% of Mathnasium’s existing centers that had been open for 12 months or longer as of December 31, 2015 was $215,244, while the corresponding average for the Mid-Lower 25% group was $158,926? Any Lab Test Now charges its franchisees a Royalty Fee of 8% of gross revenues per month, with a minimum of $500 per month? Any Lab Test Now currently does not have a National Advertising Fund, but if implemented, franchisees are required to contribute to the fund up to 3% of gross sales per location per month. the 2015 average net sales for the 42 “Recently Developed McAlister’s Deli Restaurants” (i.e. franchised traditional McAlister’s Deli restaurants that were open and operating throughout all of fiscal year 2015, and opened between the beginning of fiscal year 2012 and the end of fiscal year 2014) was $1,568,731? the 2015 average wages and benefits costs for the 32 affiliate-owned Firehouse Subs restaurants that were open during the entire 2015 fiscal year, was around 25% of revenue? Jimmy John’s 2015 average cost of goods sold for affiliate-owned restaurants ranged from 25.48% to 25.68% of gross sales (depending on whether the restaurants were open at least 5 years or less than 5 years)? BurgerFi franchisees must donate meals from their restaurants to businesses, schools, and non-profits in their respective territories, the value of which must be equivalent to at least 0.5% of gross sales? upon the opening of the 1,000th Which Wich store (there were just 359 stores, including 4 corporate stores, on December 31, 2015), the franchisor may require its franchisees to contribute up to 2% of gross sales to help pay for the placement of national advertising? the 2015 average labor costs for the 14 DQ/Orange Julius stores included in the sample (i.e. those with profit and loss statements used) was 28.41% of net sales? the highest gross sales in the Charleys Philly Steaks system (which in the past 3 years was achieved by a franchised restaurant) increased from $1,928,205 in 2013 to $2,101,602 in 2014 to $2,765,967 in 2015? general and administrative expenses, which include credit card fees, bank service charges, general liability insurance, legal/accounting fees, business license and fees, for the Moe’s Southwest Grill franchised restaurants in the sample, accounted for just 1.8% of gross sales? the 2015 average gross sales for all 32 Steak Escape stores operating in the United States for all of 2015 (mall and non-mall locations) was $613,305.88? 81.2% of total revenue for the 6 affiliate-owned MassageLuXe spas in the sample came from membership revenue, while 12.9% came from massage, facial, and waxing revenue (outside of a membership package)? Only 2.3% of total revenue came from product sales. the total estimated initial investment necessary to begin operation of an Amazing Lash Studio business ranges from $272,650 to $593,500, with much of the gap due to differences in the costs of Leasehold Improvements ($120,000 to $300,000); Furniture, Fixtures, and Equipment ($20,000 to $40,000); and Additional Funds for 3 Months ($30,000 to $105,000)? the average net sales per transaction for Auntie Anne’s enclosed mall franchises grew by 3.8% year-over-year (from $5.70 in 2014 to $5.92 in 2015)? This is on top of the 5% increase from 2013 ($5.43) to 2014 ($5.70). the 2015 average food costs for the 49 company-owned traditional Burger King restaurants in the sample was 31.1% of gross sales? the 2015 average gross profit (i.e. sales less cost of goods sold) percentage for the 23 franchised Style Encore stores that had been in operation for the 12-month period ended December 26, 2015, was 58.43% of gross sales? Flip Flop Shops charges its franchisees a Royalty Fee of 5% of gross sales and a Brand Building Fund contribution of 0.5% of gross sales (although the franchisor may raise this up to 2% of gross sales)? In addition, the franchisor recommends that its franchisees spend at least 2% of gross sales on local store marketing, although it does not require them to do so. Massage Heights franchisees are required to spend on local advertising an average of $3,000 per month for the first 12 months, and then 3% of the yearly gross revenues of the previous calendar year over the next calendar year? 44.5% of the 420 franchised and company-owned Cicis restaurants in the sample had 2015 sales in excess of $1,000,000; 40.0% of the 420 franchised and company-owned Cicis restaurants in the sample had 2015 sales ranging between $700,000 and $1,000,000; and 14.5% of the 420 franchised and company-owned Cicis restaurants in the sample had 2015 sales below $700,000? the 2015 average cost of sales for the 293 company-owned Delivery/Carryout Pizza Hut restaurants that had been open a minimum of one year as of December 31, 2015 was 26.4% of gross sales? the 2015 average gross sales for the 30 franchised Music Go Round stores that had been in operation for the 12-month period ended December 26, 2015 was $891,451? most of the revenue for a Crunch club comes from the sale of memberships (80.1% of net revenue), with the rest coming from other sources like personal training, retail sales, babysitting, and small group training, if offered (19.9% of net revenue)? the 2015 average net sales for the 161 single-brand company-owned KFC outlets open for at least one year as of December 31, 2015 was 7.7% higher than the corresponding average for the 2,840 single-brand franchised KFC outlets open for at least one year as of December 31, 2015? the 2015 average occupancy costs for the company-owned Panera Bread bakery-cafes in the sample was 6.6% of gross revenues? the 2015 average cost of goods sold for the Menchie’s frozen yogurt shops in the sample was 25.6% of net sales? after 24 months of operation, the average number of enrollments for the top 25% of Kumon centers that opened in 2013 was 189? the 2015 average gross sales for the 485 franchised Buffalo Wild Wings restaurants having 4,601 or more square feet (the “Traditional Footprint”) that were opened after January 1, 2001, and which had been in operation for a full 12 months as of the company’s fiscal year ending December 27, 2015 was $3,358,650? the 2015 average occupancy expenses for company-owned Schlotzsky’s restaurants was 8.11% of gross sales? the 2015 average labor costs for the continental U.S. Dunkin’ Donuts restaurants in the sample was 26.3% of total sales? by the far the largest operating expense in running a Massage Envy business is the direct cost of services (34.1% of net sales), consisting of Massage Therapist hourly wages, Skin Care Therapist hourly wages, linens, lotions, skin care supplies, etc.? Fyzical Therapy and Balance Centers charges its franchises a monthly Royalty Fee of $1,000 times the number of territories that comprise a franchisee’s protected area, or 6% of gross revenue, whichever is higher? the 2015 average net sales for the 71 Robeks traditional stores in the U.S. that were in operation for the entire 52 weeks ended December 27, 2015 was $416,095? of the 410 Plato’s Closet stores that had been in operation by the same franchisee or owners for the 12-month period ended December 26, 2015, 170 stores or 41% of the stores, including all of the stores in the first quartile, had gross sales in excess of $1,000,000 during that period, while 8 stores (2% of the stores) had gross sales in excess of $2,000,000 during that period? the 2015 average controllable costs for the 1,222 franchised free-standing Popeyes restaurants in the sample was 8.6% of sales, inclusive of utility expenses, monthly services, maintenance and repair costs, telecommunications expenses, cash over/short, and other miscellaneous restaurant supplies needed to operate the restaurant? the 2015 average weekly net sales during the first 12 full operating weeks for the 60 Papa Murphy’s stores that opened in 2015 and had 12 or more full operating weeks as of the week ended December 28, 2015, was $8,215? the highest 2015 gross revenues among the 12 Restoration 1 franchised businesses that had been in operation for the full 2015 calendar year ($2,467,373) was 18x the lowest 2015 gross revenues among the same group of franchised businesses ($136,811)? the 2015 average gross profit margin percentage for the 5 Lemon Heaven permanent businesses was 44.1% of gross sales? In other words, their average cost of goods sold was 55.9% of gross sales. the total estimated initial investment necessary to begin operation of a Once Upon A Child resale store ranges from $254,500 to $392,200, with much of the gap due to differences in the costs of Fixtures and Supplies ($33,000 to $60,000), Build-Out ($20,000 to $45,000), and Opening Inventory ($60,000 to $85,000)? the average gross sales for the trailing 13 periods during fiscal year ended December 28, 2015 for the 3 company-owned Pieology restaurants that had been in operation for at least two years as of the end of that fiscal year, was $1,874,304? approximately 45% of the 11,330 domestic traditional franchised McDonald’s restaurants opened at least 1 year as of December 31, 2015 had annual sales volumes in excess of $2,600,000? the 2015 average gross sales for the 36 Drama Kids franchises that have been operating for over one year on a full time basis (i.e. holding at least five classes per week during the school year months of September through May) was $116,032.67? the 2015 average transaction value from the sale of Max Muscle products and authorized third-party products was $70.49? Play It Again Sports charges its franchisees a Continuing Fee (i.e. royalties) of 5% of gross sales and a Marketing Fee of $1,000 per year? In addition, franchisees are required to contribute up to 5% of gross sales to the Cooperative Advertising Fund (the exact amount to be determined by the cooperative) and spend on Local Advertising a minimum of 5% of gross sales, when combined with the Cooperative Advertising contribution. the 2015 average gross sales for the 115 Smashburger restaurants (104 traditional and 11 special venue) that had been operating for at least one year as of December 27, 2015 was $940,318.42? the state with the highest 2015 average gross sales for standard Tim Hortons shops that were open and operating for at least one year as of December 31, 2015, is New York ($1,617,522), followed by Michigan ($1,144,234), North Dakota ($1,116,465 for one reporting shop), and Ohio ($1,111,262)? the 76 franchisee-owned LearningRx centers open during the full fiscal year October 1, 2014 through September 30, 2015, had excellent customer satisfaction ratings (9.6 out of 10) and decent conversions of consultations to students (51%)? sales for the MidiCi Neapolitan Pizza restaurant in Los Angeles county were highest on Saturdays (20.2% of total weekly sales), Fridays (17.6%), and Sundays (16.4%)? The rest of the week was pretty consistent (from 10.9% of sales on Tuesdays to 11.7% of sales on Wednesdays and Thursdays). of the 32 Wings Over restaurants included in the sample, 26 had sales exceeding $1 million, 5 had sales of more than $2 million, and 2 had sales above $3 million? the 2015 average gross sales for the 20 affiliate-owned Pancheros Mexican Grill restaurants in operation for the entire three calendar years 2013-15 was $1,171,321? the 2015 average labor/management costs and taxes for company-owned Papa John’s restaurants was 24.6% of sales (up slightly from 24.3% in 2014)?